A project of the modern bathroom that provides a combination of all pieces of the shower, into a single functional object. 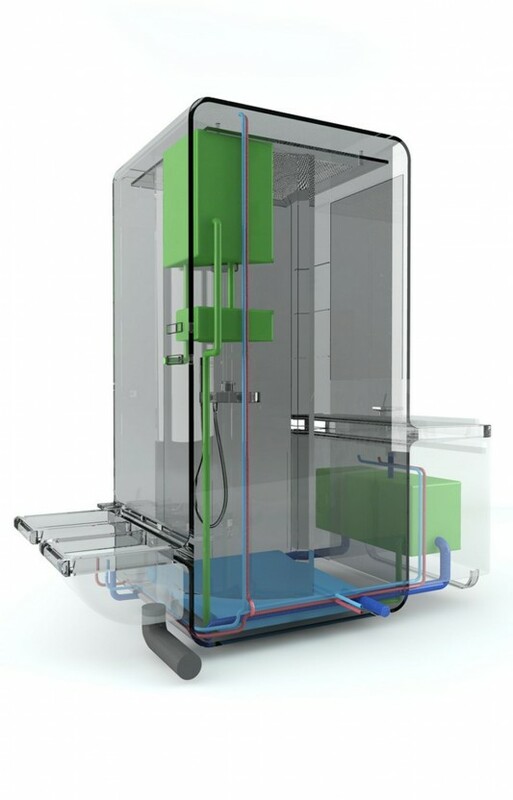 Modern bathroom was designed by Massimo Brugnera, they member name bathroom with many of these functions Aquabox, a modern bathroom compact for all purposes. Aquabox is designed to create habits and behavior of water-saving promotions for every day. A project that is very concerned about the environment of course, but it is also designed with a full featured design future sophisticated and modern. Various pieces like bathroom shower, washbasin and toilet, made in a compact modern design, equipped with an innovative system that is able to purify the water again, so it can be used to flush the toilet or used for watering plants. Cleaners are part of the system is placed in the object: this system allows for clean up and collect in a tank of 80 liters of water from the sink and use the bathroom. Pure water can be used to flush or to supply other needs with the help of a faucet retactrable alternatives, such as to irrigate flowers. 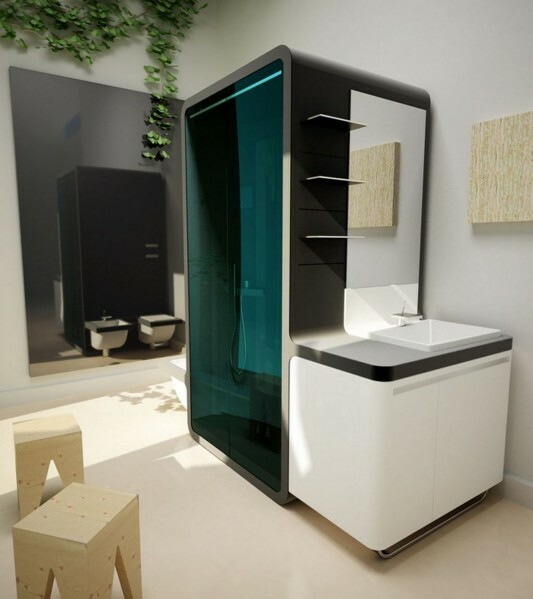 Another important feature of this object is the compactness and health orientation, with its adjustable rain shower, color therapy, sauna and internal lighting accordingly. With a contemporary design that rapid shower box of beautiful and compact, providing easy for you in the bathroom decor with bird narrow, this system portable, so easy to move, and allows you the settings. The bathroom is designed with high technology, and has a trendy and stylish design provides exceptional bathing experience. It also provides many benefits such as saving water, rain shower which can be arranged as well as the benefits of saunas and exposure therapy, makes modern bathroom is worthy to be part of your home decor.